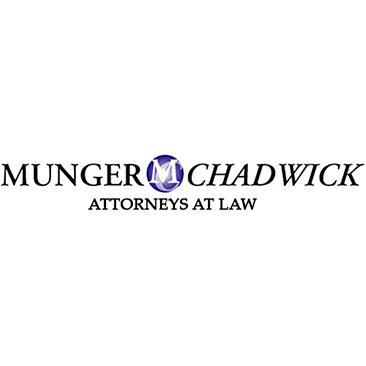 Munger Chadwick is a strategic partner for many businesses operating in Arizona, the Southwest, and globally. Our tools include our recognized knowledge in all areas of business law, including corporate, real estate, mergers and acquisitions, and employment law, as well as intellectual property law, utilities law, and our lobbying, international trade and immigration, and public relations teams. In matters involving dispute resolution, we are recognized for our litigation strength, but we also take pride in working with our clients creatively and aggressively to resolve problems in ways that can prevent or avoid litigation and regulatory obstacles.Throughout four decades of service, Munger Chadwick has built its success on a combination of superb legal expertise and personalized service rendered at reasonable prices. Our attorneys are recognized as among the best in the United States, to say nothing of Arizona. Not only have we achieved the coveted AV rating by Martindale-Hubbell, the renowned legal publication (the highest ratings for expertise and integrity available), but many of our attorneys have been further distinguished by being listed among“Arizona’s Finest Lawyers,” “Best Lawyers In America,” “Best Lawyers in the U.S.,” “Arizona Superlawyers,” and the “Bar Register of Preeminent Lawyers.”But superb legal expertise alone does not characterize Munger Chadwick. We take pride in our personalized service and constant accessibility to our clients. Clients work with lawyers they know and who communicate well, and who take the time to learn and work to achieve the specific goals the client wants to achieve. Phone calls are returned promptly, and clients are kept up to date on all events. We are looking for long term relationships with our clients, and we know that relationships are built around respect, integrity, and good communications. This is one of our hallmarks, and we work hard to maintain these standards.Finally, Munger Chadwick takes pride in providing this superb and highly personalized service at fair prices. Our rates are well within the market.These qualities of superb knowhow and personal service, rendered at a fair price, have been Munger Chadwick’s hallmarks for almost 40 years. We look forward to the opportunity to work with you, and to show you how great lawyers should be. We have law offices throughout the state in Phoenix, Tucson and Green Valley, Arizona.